HPi-7F, Digital Piano from Roland in the HP series. Roland U.S. announced the HPi-7F and HPi-6F Digital Interactive Pianos, equipped with Roland's SuperNATURAL Piano sound engine, PHA Ivory Feel keyboards, and interactive DigiScore training programs. 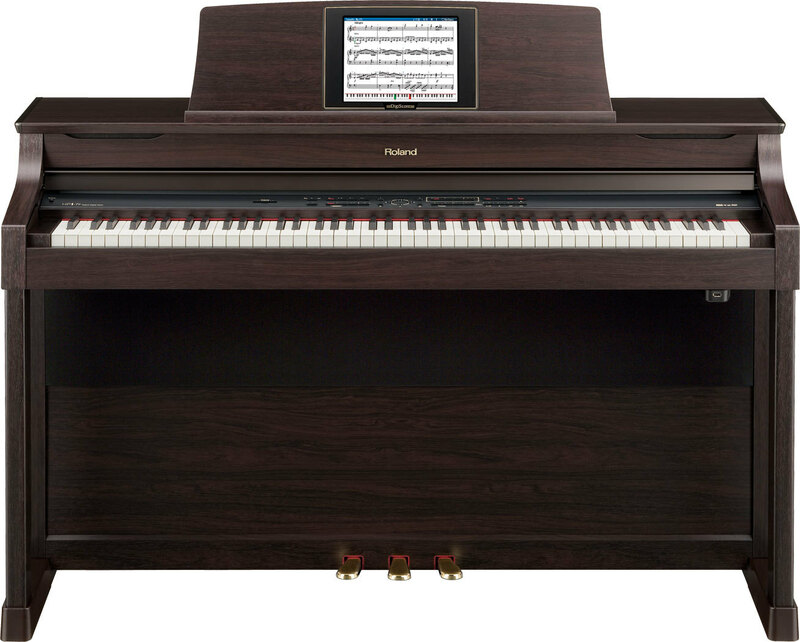 The DigiScore feature is designed to make learning the piano fun, displaying digital sheet music and interactive lessons on a large LCD (HPi-7F: 10.4", HPi-6F: 7") that is built directly into the music rest. Students can sharpen their skills with onboard visual lessons and exercises, and play along with a graphical metronome and an onscreen keyboard. Newly added finger training graphically displays finger strength with Hanon exercises. With the built-in microphone input, users can plug in a vocal mic and sing along through the onboard speaker system. Karaoke-style lyrics are shown on the DigiScore display when one of the built-in songs or SMF music files with lyrics are played, and onboard effects such as echo and real time vocal harmony can be added. The new HPi-7F also includes an auto-accompaniment engine, where players can create musical accompaniment in a variety of music styles simply by playing one or two notes with the left hand. Add Roland's optional CD-01A CD drive, and musical performances can be burned instantly to CD for lesson practice or recital recordings. 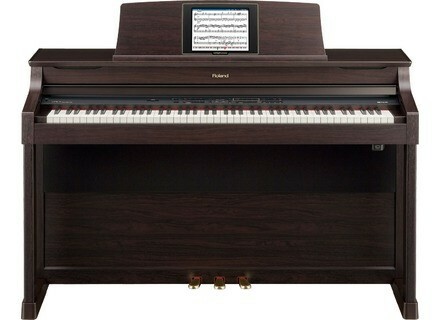 These new HPi series pianos come with wood cabinets available in either Satin Black or Rosewood. The music stop is equipped with brass music clips, while the three-piece pedal unit and front legs provide a classic traditional look. The HPi7-F and HPi-6F Digital Interactive Pianos are expected to be available in November. Roland RD-700NX Roland marks a new RD series milestone with the introduction of the RD-700NX. Limited Edition Korg SP-170 Red Korg announced the limited edition SP-170RD, a vibrant red color option for the SP-170 Digital Piano. Roland FP-7F Roland U.S. introduced the FP-7F Digital Piano, the latest addition to its FP series piano lineup.